Nestled within spacious gardens, this beautiful, traditional cottage is just over a mile from the conveniences of Lechlade, a pretty Cotswolds market town. Experience the peace of being in the heart of the countryside, with beautiful views of the surrounding fields and stunning sunsets that change daily. You would never guess that you were just 20 minutes from J15 of the M4! With generous bedrooms, a living room, sitting room, snug and huge kitchen and dining area, Old Timbers is perfect for a large family or group. Children will love exploring the large front & back gardens – which feature a fantastic playground – for hours of fun, and we have various garden games which are fun for all ages! We bought this property as a family holiday home, and that is what it will continue to be…but to be enjoyed by many different families. Great care and attention has gone into decorating Old Timbers stylishly and personally and we hope that you will enjoy its special features and charm. The only difficulty may be in deciding which room you like the best! Old Timbers has idyllic Cotswold countryside and villages on its doorstep, and is within easy reach of a host of wonderful attractions, including the Wildlife Park, the Water Park, Burford, Bibury, Bourton-on-the-Water and Lechlade. Had a wonderful weekend away with our family at Old Timbers. Lots of indoor and outdoor space for all of us and the children. Full of games and books to entertain us all. So much to do and see in the surrounding areas all recommended by the owners. Can’t wait to go back in May!!! Fantastic weekend away at the Old Timbers. So much space and great layout of rooms for the adults and kids. Really close to lots of attractions and activities. A weekend wasn't long enough. We will definitely be back. Perfect. Stayed with my little boys, parents and great gran for a glorious week. Stylish, gorgeous garden, dining area and lounge, lovely bedrooms, spacious and well located. 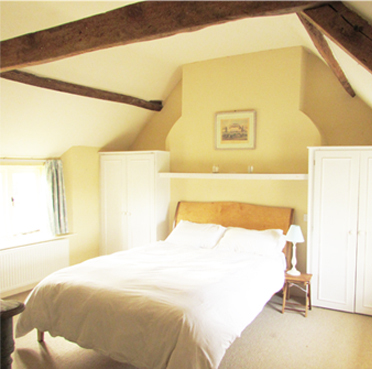 Highly recommend for families or couples wanting somewhere nice to stay in the Cotswolds. Old Timbers is absolutely perfect for a Cotswolds getaway. Not only is it chocolate box gorgeous, but it is super spacious, packed with every item you may need for a weekend retreat and just all round fab! Absolutely stunning (and big) holiday house, that suited a weekend with three families with kids age 4m to 9 years. Really well equipped kitchen, toy room and fabulous safe, enclosed garden. Highly recommend a stay here. We really hope to go back sometime. In a beautiful location too. We have just come back from a lovely weekend at Old Timbers, catching up with old friends around the big kitchen table, cooking food together in the aga and entertaining our kids in the large garden or well stocked toy room. It was a beautiful house with tonnes of space and loads of charm. We were a group of 6 adults and 3 kids and we had loads of room to gather and hang out. The beds were especially big and comfy.Thanks for all the tips on what to do locally. 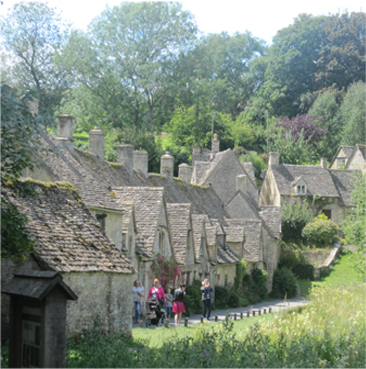 We visited idyllic Cotswold village of Bibury and fed the fish at the trout farm - the kids loved it. We would definitely stay again.Thank you for making us feel so welcome. I just wanted to write and say what a wonderful stay we all had at your beautiful Cotswolds home...We all said how comfortable and at ease we felt at Old Timbers, we appreciated the extras you provided too...thank you also for the very user-friendly and comprehensive details you sent.